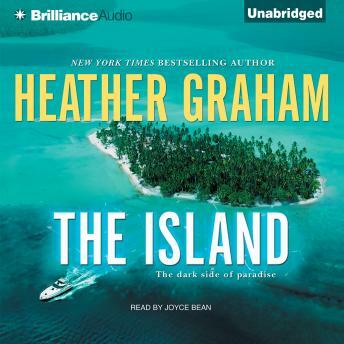 On a weekend vacation with her brother and niece, Beth Anderson is unnerved when a stroll on the beach reveals what appears to be a skull, and instantly recalls the retired couple who disappeared off the island's coast a few months earlier. As a stranger approaches, Beth panics and covers the evidence. But when she later returns to the beach, the skull is gone. With only her niece as a witness, there is no proof of foul play for Beth to bring to the authorities. To her brother, the missing skull is just a good story to tell at an island bonfire and campout that night. The tale is heard by an eager group of vacationers - including charismatic Keith Henson, the stranger from the beach. Everyone dismisses the events as the product of an overactive imagination, but when Beth hears someone outside her tent, she instinctively knows her fears are justified. Determined to find solid evidence to bring to the police, Beth digs deeper into the mystery of the skull - and everywhere she goes, Keith Henson seems to appear. He claims to be keeping an eye on her safety, but Beth senses other motives. Then a body washes ashore, and Beth begins to think she needs more help than she bargained for. Because investigating is a dangerous game, and someone wants to stop Beth from playing. The synopsis of this books offered a lot of promise and I eagerly awaited the arrival of this book... reality was rather different. I found the characters unconvincing and the story-line predictable. Why such a thin plot needed to be so protracted that it took 8 CDs to get from beginning to end, I can't imagine!